I do not consider myself a wimp, although some others might. I am, however, affected by the deep emotions of severe life events. I have cried because of music. Don Francisco in “Vision of the Valley” is a case in point. As one who considers myself to have a shepherd’s heart, the poignant imagery of sheep in distress brings tears, as does the exquisite imagery of The Lord Jesus and His under-shepherds taking control to provide with love and tender care all things that caused the sheep of Psalm 23 to “lie down”. They are fed; they are protected; they are at peace! I have cried because of movies. The Kendrick Brothers movies have affected my emotions with the presentation of the severe emotions faced by many. There is both the hurtful pain of suffering and the joyous relief of deliverance presented with such skill as to bring the emotion of the scene to the heart of the viewer. As I attempted to raise my four children I was brought to tears a number of times by the hosts and guests of “Focus on the Family”. Oh, not that I sobbed uncontrollably mind you, but there were tears. Can you really go through life experiencing a healthy love for yourself and the people in your life; or see and hear the sorrows and joys of others and never shed a tear? Not that I want people to see my tears, but my emotions would have to be much shallower for me to make it through life without a tear. 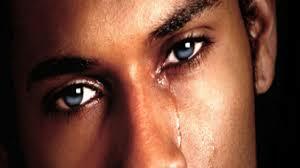 What makes you cry (or at least shed a tear) says a lot about you… what moves you.